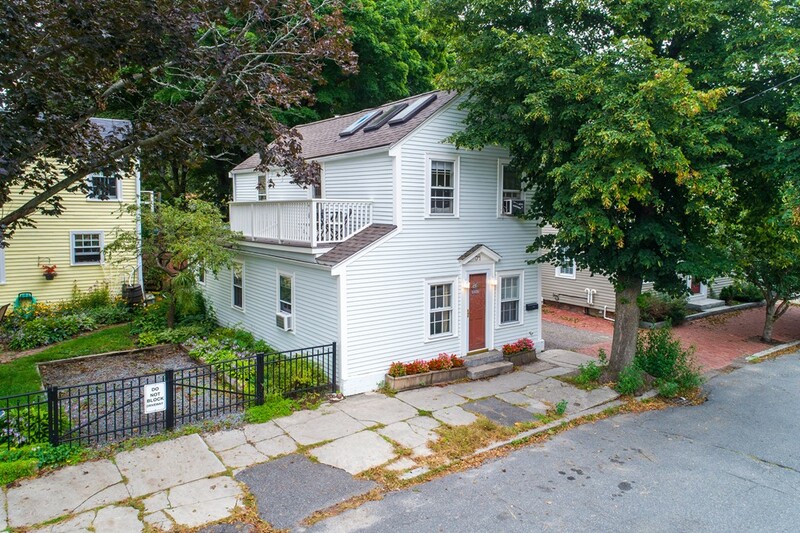 Adorable home right in the heart of Newburyport at a great price! This charming antique is a true condo-alternative with no grounds maintenance required! Gorgeous wide pine floors, a recently renovated kitchen full of natural light from skylights, new bathroom, very cozy living space, and more skylights throughout! The heating system is newer and the roof is just 4 year old!! You'll love the fun roof patio perfect for your morning coffee! Enjoy the restaurants, shopping, parks and trails and everything that Newburyport has to offer. This one won't last long at all!